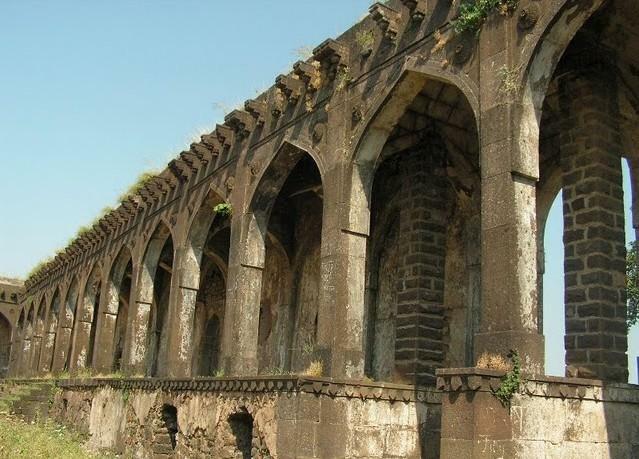 The historical & town of Burhanpur named after Sheikh Burhan-ud-Din located on the north bank of Tapti river, on the Bombay-Delhi main line of central railway 504 KMs from Bombay and 69 KMs from Khandwa. The city is the witness of many historical events. Being the seat of Viceroys, the city was greatly extended and embellished. 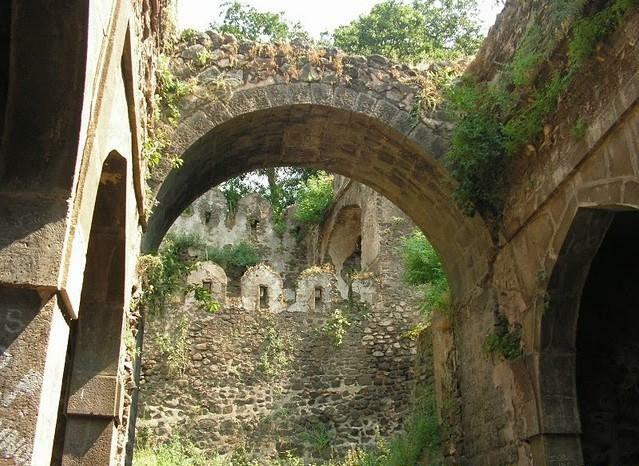 Burhanpur was internationally famous for its fine cloth manufacturing, Gold-wire drawing and other allied industries and crafts. 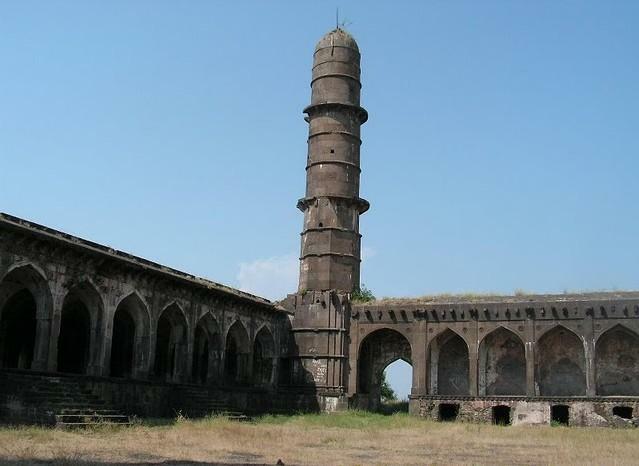 Burhanpur has many historical monuments like Gurudwara, Dargah-e-hakimi, Jama Masjid, Ahu Khana, Shahi Quila, Rajghat, Biwi ki Masjid, Badshahi quila, Tombs of Nasir Khan, Raja ki Chhatri & Khooni Bhandar. The place is also counted in the pilgrimage of Sikhkha sect. The handloom industry of the city has a remarkable place in the household industries and has a glorious past. One can reach Burhanpur by taking any of the following modes of transport. Burhanpur falls on NH3. Nearest major cities Indore (180 km) Madhya Pradesh, Jalgaon (approx. 100 km) Maharashtra are connected with good road links. Burhanpur falls on Mumbai Itarasi route of central railway. Adequate trains are there to reach the city. 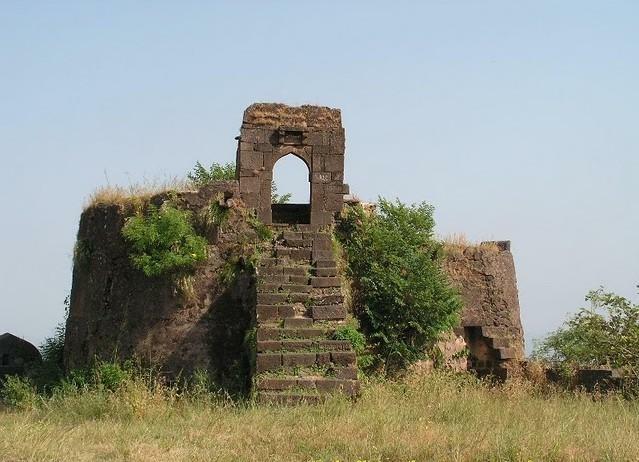 Since Burhanpur is situated on the National Highway, it will be best to drive down from Indore in a bus or a hired car or taxi. The nearest town is Khandwa. 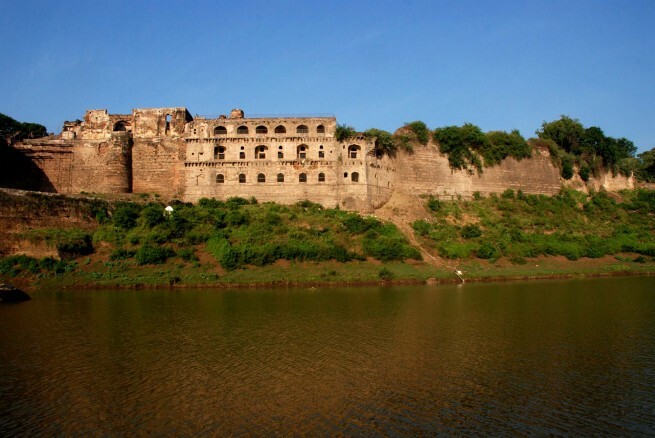 Shahi Qila standing on the banks of river Tapti is a remarkable structure. 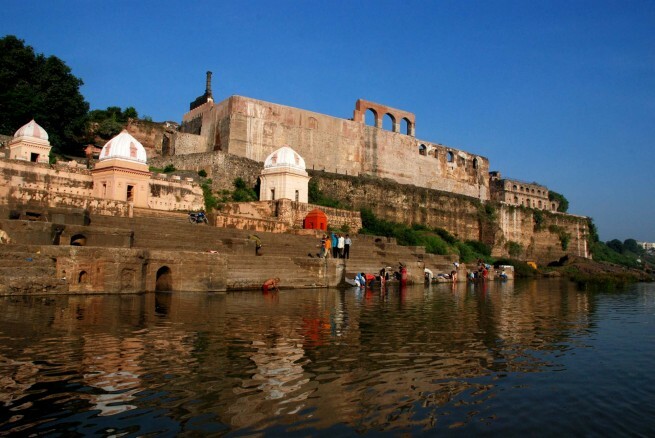 The six storeyed structure rises over 175 feet from the river beds and housed over 4,00,000 soldiers. 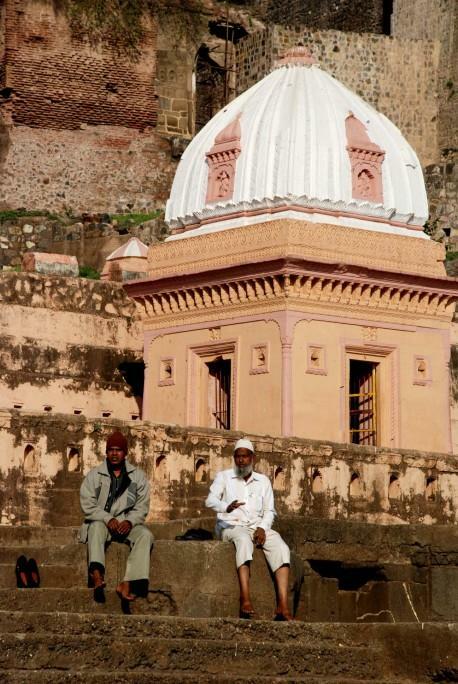 The palaces Diwan-i-Aam and Diwan-i-Khas were built on the terrace of the structure. The Raj Ghat was used as a base for the boats used by the members of the royal family. 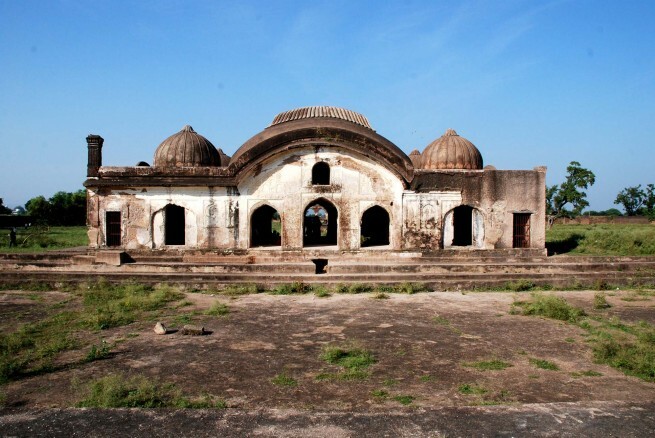 The place is counted as an Important pilgrimage of Khalsa sect. The First and the Last Guru, Guru Nanak Devji & Guru Govind Singhji Maharaj of Khalsa sect had visited the place. Guru Nanak Devji has visited the Gurudwara located at the bank of Tapti river (RajGhat). Guru Nanak Devji has also signed the holy Guru Grantha Sahib. One can still visit the Weapons & Guru Grantha Sahib of Guru Govind Singh Ji Maharaj. 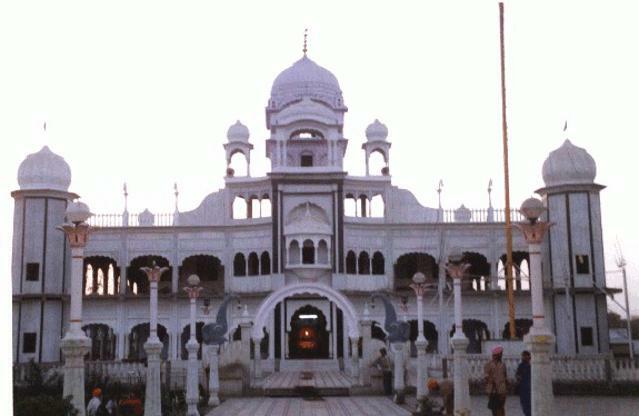 The Gurudwara is approx 400 years old and counted with the Anandpur (Punjab), Patna (Bihar) and Nanded (Maharastra) pilgrimage of sikhkhas. 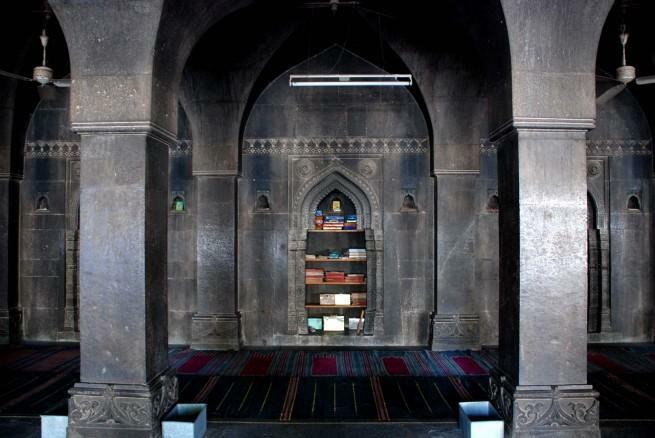 There is a history behind the Jama Masjid built in Burhanpur. 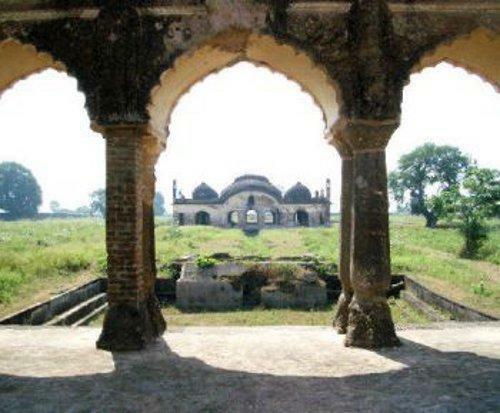 During 1421, when most of the population of Burhanpur lived to the north, Begum Ruquiya wife of king Azam Humayum built the first Jama Masjid in Itwara Burhanpur also called as Bibi Ki masjid. 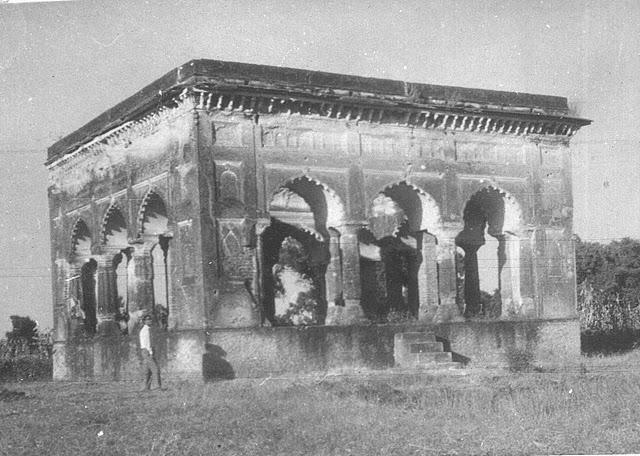 But soon with the growth of the city, ruler Adil Shah Farooqi built a bigger Jama Masjid in the centre of the town, easily accessible to all the people living in Burhanpur. 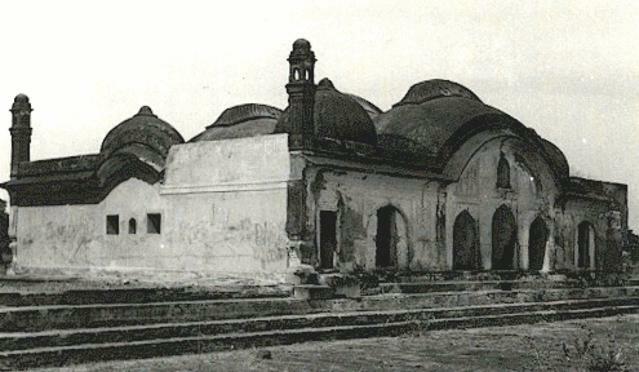 The construction of the Jama Masjid was started in 1590 and completed in 5 years. 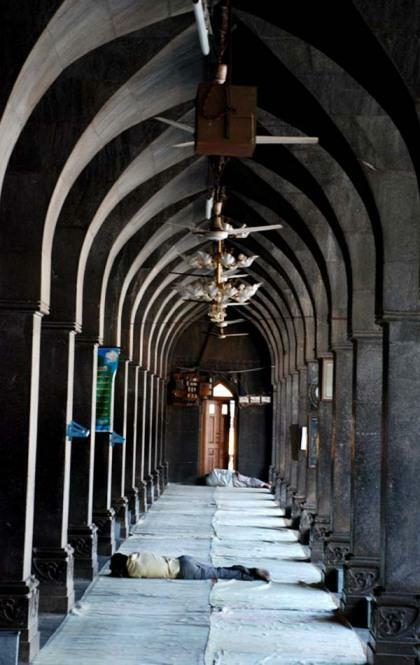 Burhanpur Jama Masjid is similar to the Jama Masjid in Delhi. Two identical minars (tower) of the mosque are quite a feature. At about 130 feet tall they loom all over the mosque. You can climb up right to the top by the spiral stairways. 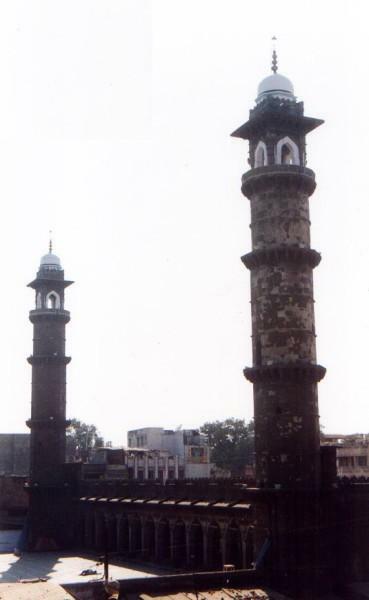 These minars are believed to be much taller than those of the Jama Masjid in Delhi. Mosque is 149 foot tall and 52 feet wide. So naturally, about 70 pillars support it. The huge hall of the mosque can hold as many as 500 people easily. 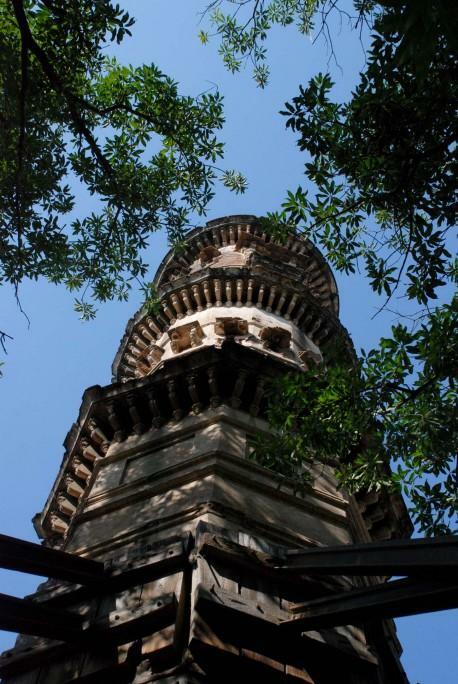 Ahukhana is located in front of shahi Quila at the other bank of river Tapti in Zainabad. 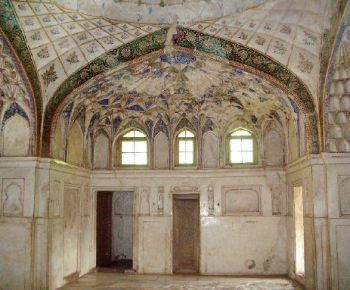 The place was Royal leisure pavilions during the Mughal time. 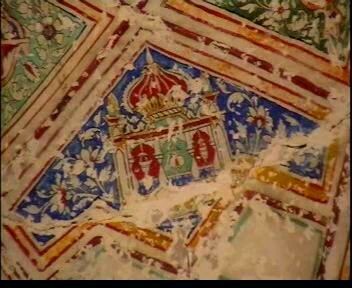 Body of Mumtaj Mahal was buried at this place for six months. This is a very good example of Mughal architecture. 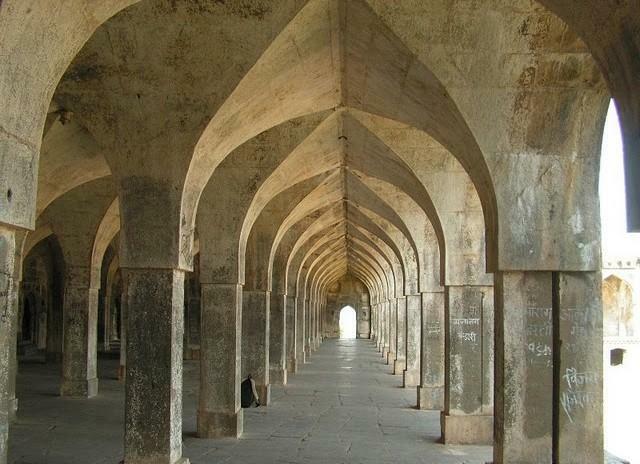 Mughal rulers had constructed 8 system of water works with a vision of supplying pure water to the city. This natural system had supplied water to Burhanpur city. 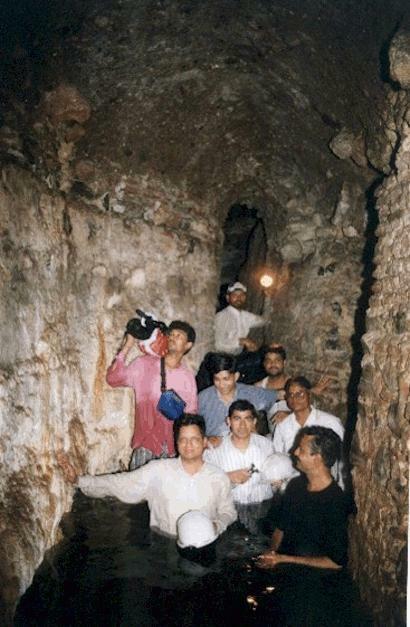 These water works are specimen of unparalleled construction technique and may be counted as glorious relics of the Mughal engineering ingenuity and skill which entailed enormous expenditure. 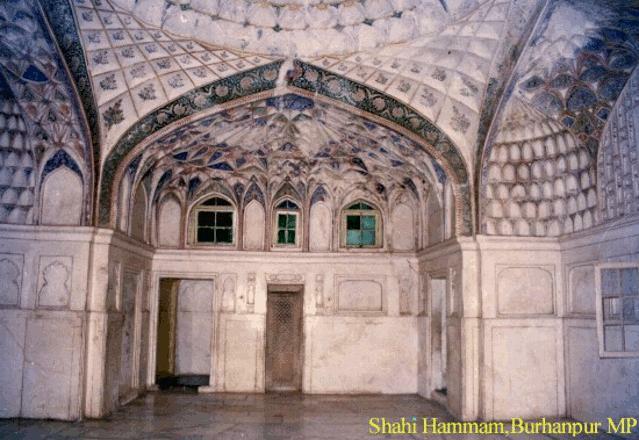 This was constructed in the reign of Shah Jahan and Aurangzeb. 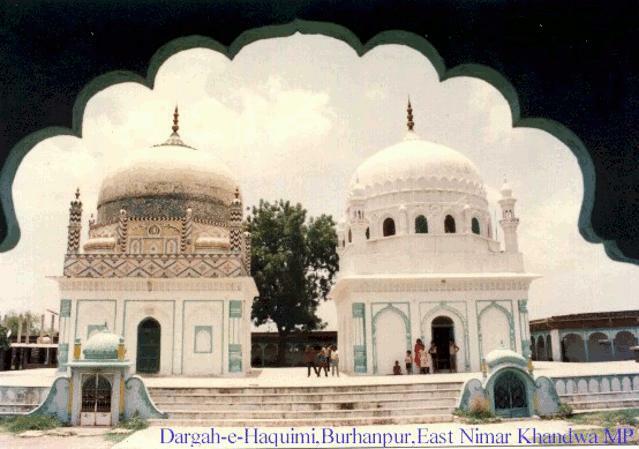 Dargah-e-Hakimi is situated at Lodhipura village, 2 Kms from Burhanpur town in the memory of Quamili Saiyyadi & moula-e-bava Abdul Quadir Hakimm-ud-din. Thousands of pilgrims of Bohra sect visit the place from all over the world. 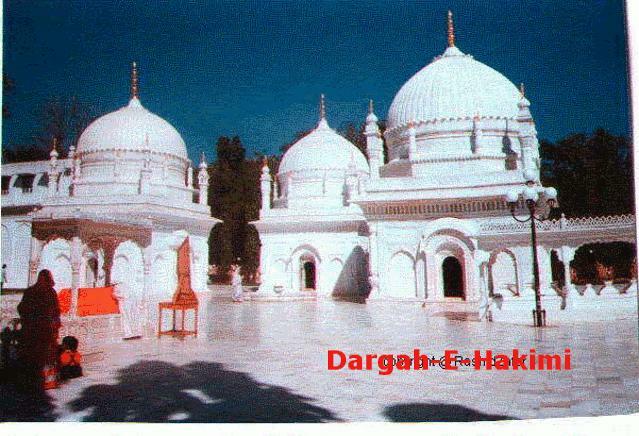 Dargah consist of a beautiful mosque and a Haquimi garden. 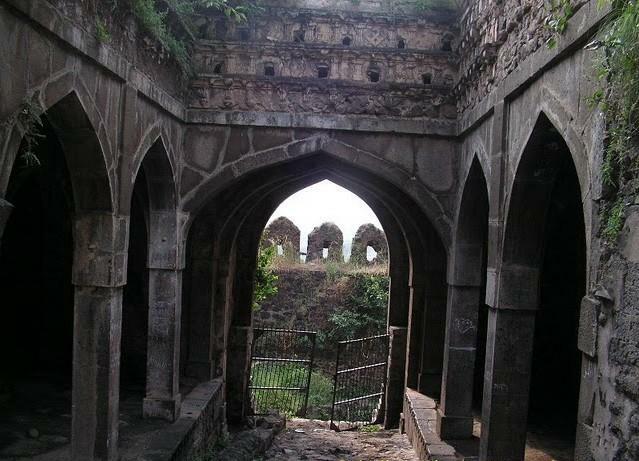 The Royal Hamam is situated in the Faruqui fort. 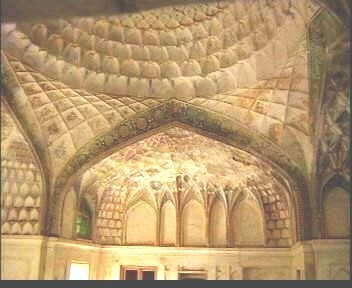 It was constructed by Shah-Jahan, The Mughal Emperor. In the middle of the monument there is a octagonal bath-place. The bath-place was connected with the water system of Khuni Bhandara. 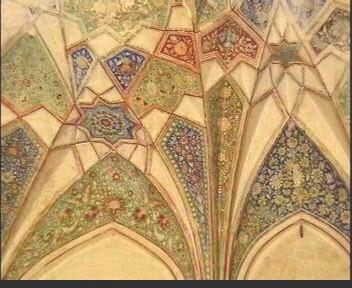 Colorful Mughal Paintings can be seen on the ceiling of the monument. 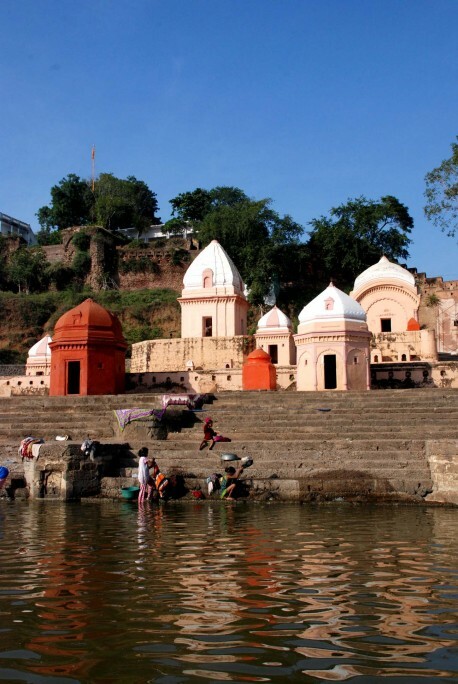 Rajghat is a auspicious bank of sacred river Tapti. 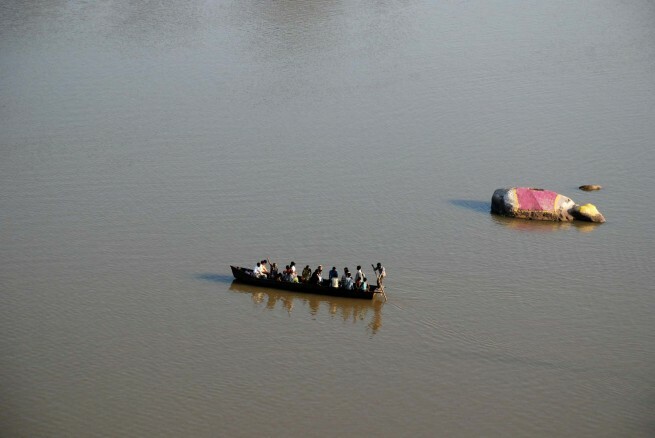 Several Hindu temples of Shiva & Vaishnav are located here. The foot prints of various Hindu saints at this place are of religious importance. 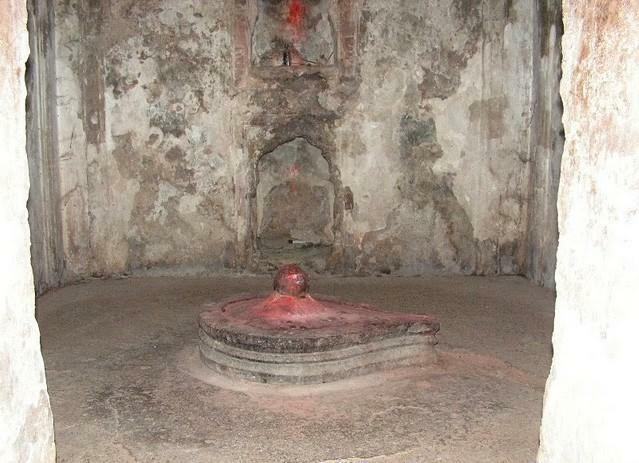 Lal Deval Temple of the place is dedicated to Lord Shiva. 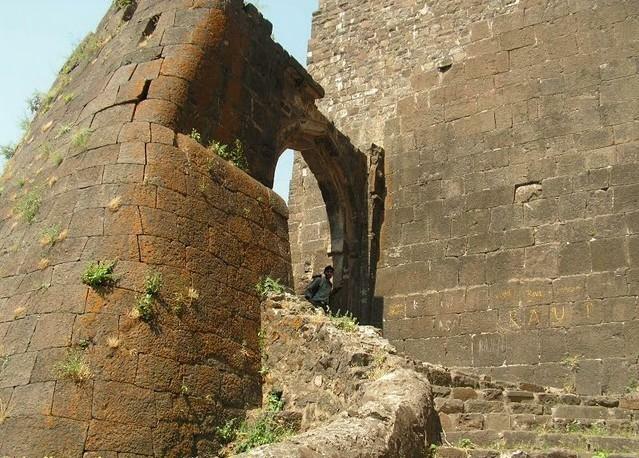 Faruqui fort is also located near the place. 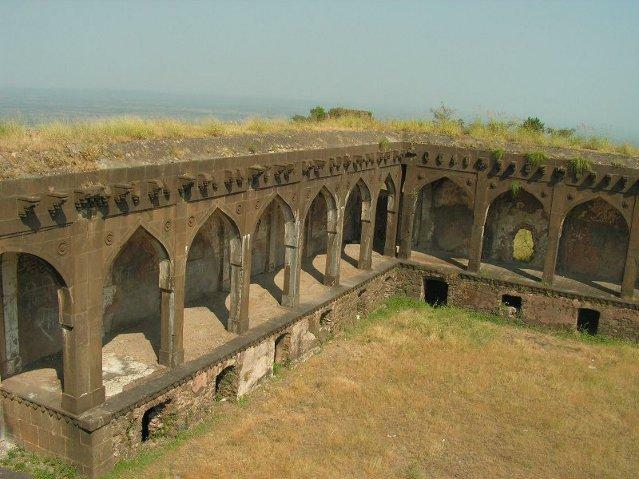 A celebrated hill fort in the Burhanpur tehsil about 30 miles ( 48 KMs.) 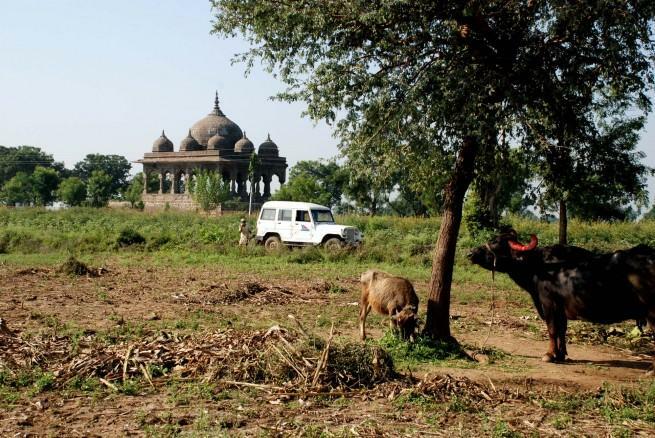 South of Khandwa and 14 miles (22.4 KMs) north of Burhanpur on Burhanpur-Khandwa road. It is 259 Meters high from the base & 701 Meters above sea level. 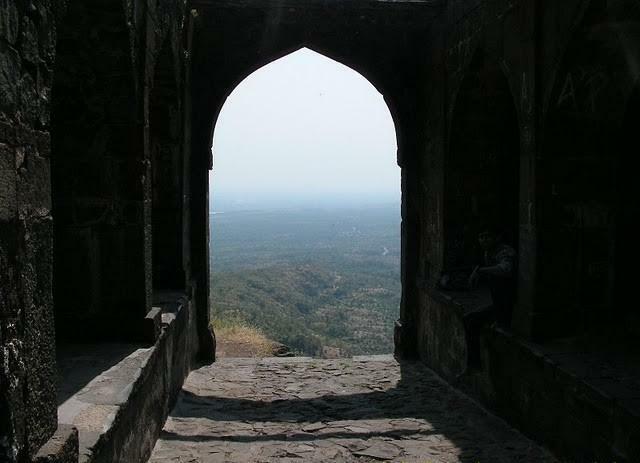 This is referred as the "Gateway to southern India" in the medieval history. It is consisting of three separate lines of constructions namely Asirgarh proper(Upper most part), Kamargarh and Malaygarh. 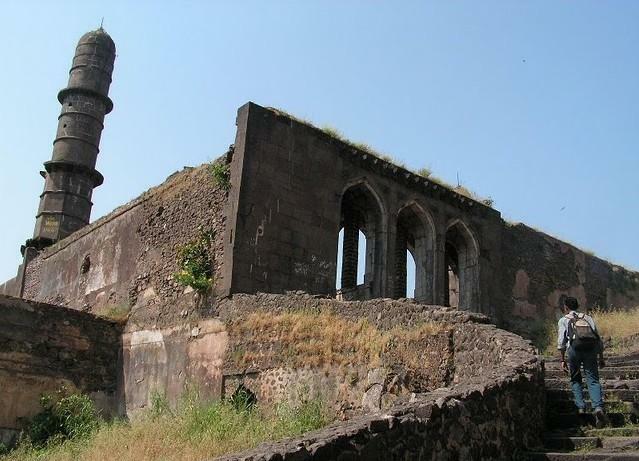 Jami masjid & a Shiva temple are another architecture inside the fort. 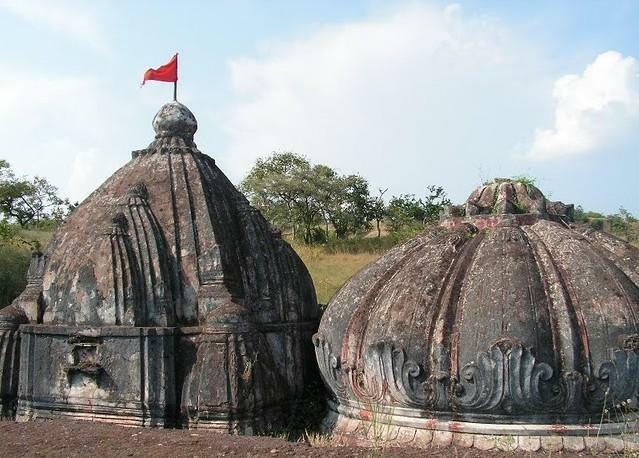 Asha devi mandir of Hindu Goddess Asha-devi is located on the hills of this village.In the vicinity of Asirgarh,there is a tomb of Shah Nomani Asiri, a saint, a believer of Sufism. Moti mahal, the burial place of Moti Begam, beloved of Shah Jahan is to the left of the fort and situated at the bank of Pandhar River. 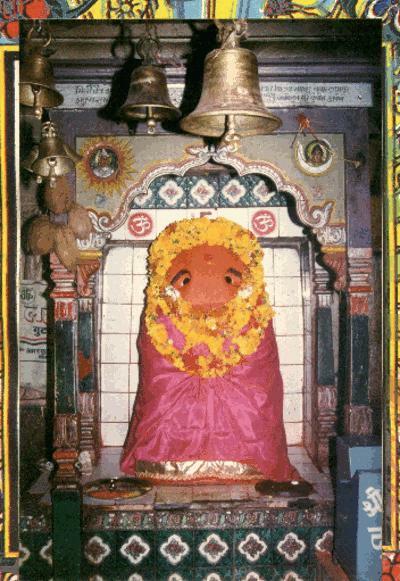 Ichha Devi Temple is situated at Ichha village. 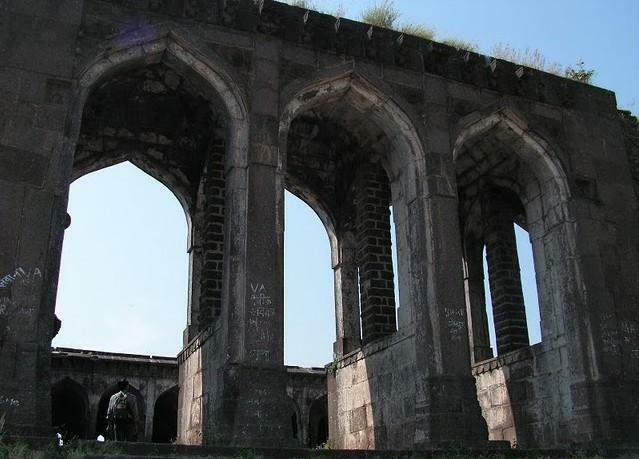 It is located 23 Kms from Burhanpur on Burhanpur-Edlabad main road and dedicated to the Ichha Devi. Maratha Governor made a vow to the Goddess Ichha Devi (Ful-filler of desires) that if he got a son he would build a well and a temple for the Goddess. He built a well and a temple when his desires were fulfilled. An annual fair held in Chaitra Maas (First month of Hindu Calendar) is attended by thousands of pilgrims. 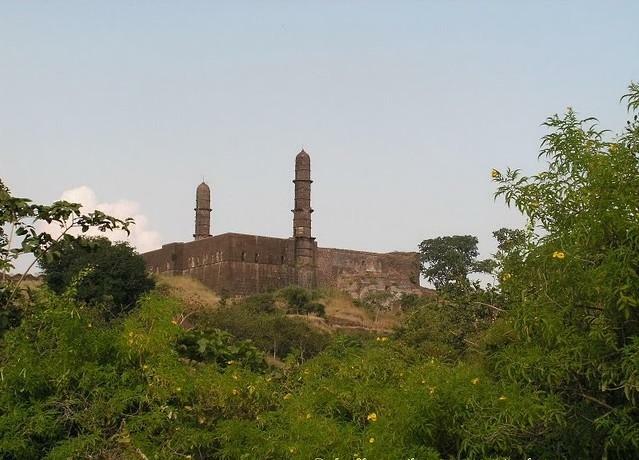 Raja ki Chatri is notable monument which is situated on the bank of the Tapti river about 4 miles from Burhanpur. This Chatri was constructed by the order of Emperor Aurangzeb in honour of the memory of Raja Jai Singh, the Commander of the Mughal force in Deccan. Raja Jai Singh while returning from the Deccan died at Burhanpur.